Location: buckley n,wales uk, but i ain't welsh lol. 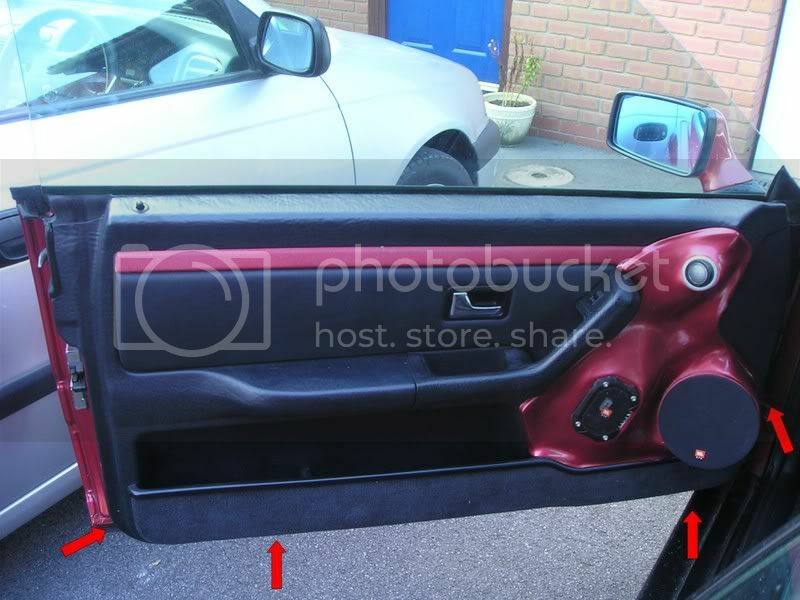 Thought i would make life easier for some folk as i know how frustrating getting the door card off for the first time. firstly un-do the visable fasteners next to the door lock. 3mm hex key and philips screwdriver. 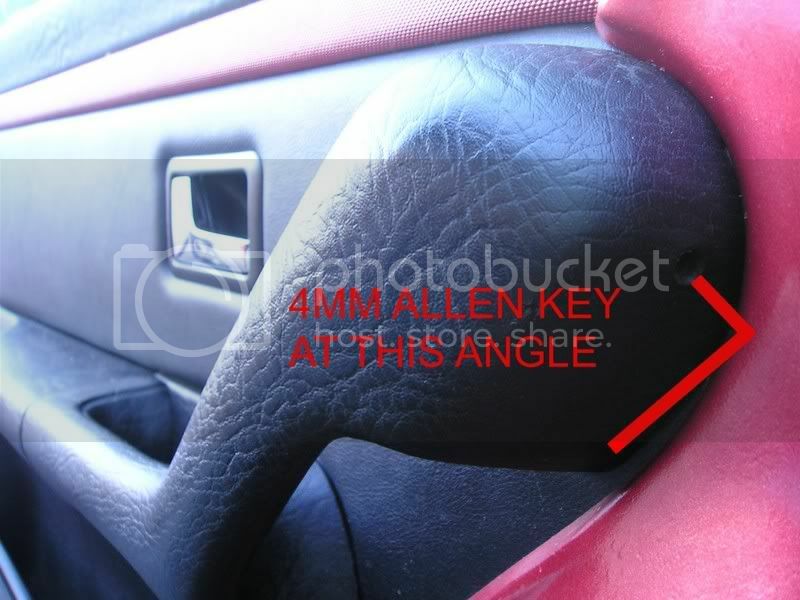 then focus on the allen key bolts hidden in the door handle, top and bottom. the one next to the pull handle itself is a philips, is on mine anyway. shine a torch up there to see the angle of the heads. 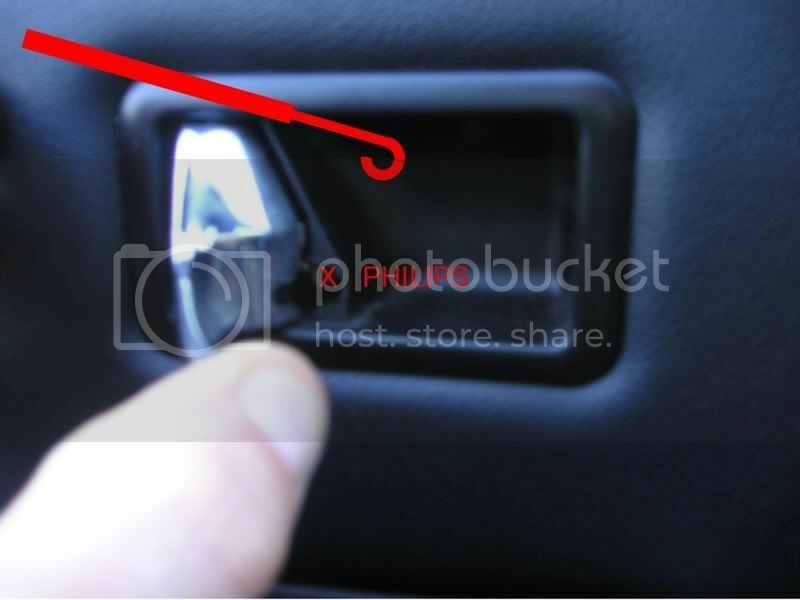 when you remove the handle away from the door, un clip the plugs for the window switches and then unscrew the brackets that the handle was attached to. Next pull open the door lever to reveal a philips screw. take care when you come to remove the door card as the cable is attached by a hook to the rear side. 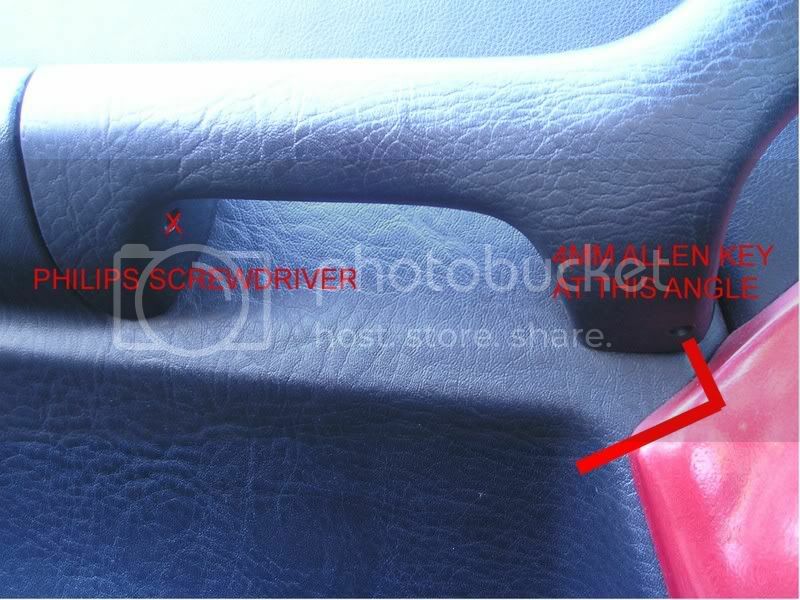 take note of the slot it sits in when replacing. when removing the card hold it at the top and pull upward so you clear the lock pin and then away from the door. push the window connectors through the holes and undo the pull cable from behind the door lever. if still attached check around the door edge bottom and sides as some of the plastic fastening hooks snap off and may have additional screws to fasten the door card on. i know mine has! 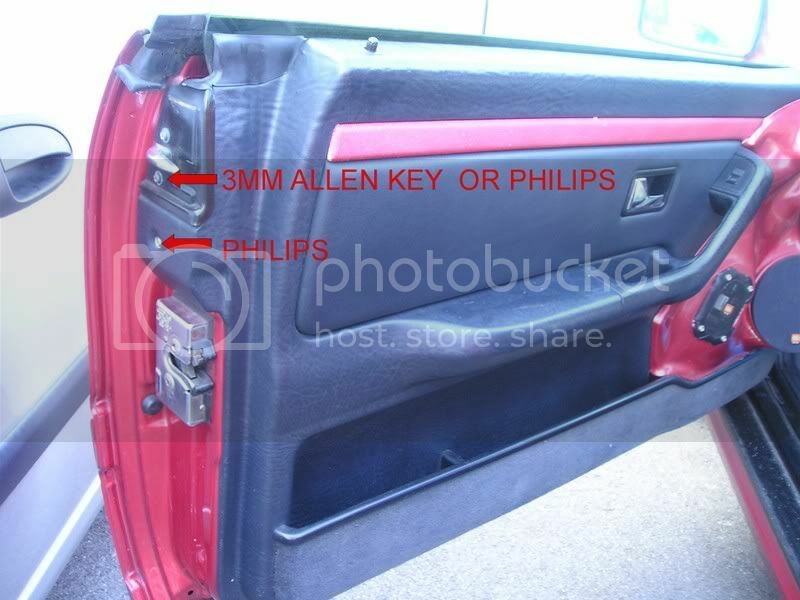 appologise if i have the allen key sizes wrong, they might actually be 4mm and 5mm not 3 & 4.
thats the important bit btw, when my lock jammed open and i had to remove my door card i didnt lift the panel up and ended up snapping off some of the plastic "hangers" from the back of the door car itself. its a very fiddly job the first time you do it. '00 Audi TT 225 Roadster, Rs4's, Leather, Aluminium, Parrot. '95 Audi Cabriolet 2.6 V6, 17" Ronal Bolero's, Leather, Wood, Stainless, Dropped 40mm, "SOLD"
which rear panels, boot or speaker panels in the rear. i'm sure the pump is located under the right hand corner of the boot. (drivers side) i somtimes hear a churning sound coming from that area after starting the car, this is the pump charging the air lines up to pressure. i know there's a large lump of cast iron on damper rubbers down there, this apparently is to reduce scuttle shake. there's a smaller one on the pass side. to get at ,remove plugs holding the plastic trim that covers the lock near bumper. then pull away rubber boot seal half way round then undo any other clips. its quite ridged stuff but it will fold down to reveal the area below the fuel filler. Had the boot all stripped out when doing the looms. doesn't appear to be any access to the central locking pump from there. I can see the hoses, but they vanish off under the fuel tank so I guess it's behind the speaker panels in the back, drivers side. Yeah, fitting the remote central locking kit is what I'm after too. I know the boot pretty well now after that loom job so I'm pretty sure the pump aint there, although that is where the parts diagram I got from vagparts shows it to be. Confusing eh? lol. Can't be that hard to remove the speaker panels etc in the back. Suppose the seats will have to go to though. The CL pump is behind the back of the rear seat on the right hand site. It is called Bi- pressure pump and contains the controls for the CL, as well. thank you sooo much for doing this thread. just took my drivers door card off today to find out why i cant lock the door off the key. was hoping one of the rods had just come off its mechanism. sods law though as there was actually a piece broken at the very top of the rod that joins on the back of the lock. does anybody have an audi print out of the parts breakdown for this area?? gonna have to take the window out as well i think as its a bit fiddly. buts its all gonna have to wait a couple of weeks anyway i think cos i'm cruising it down to the south of france first thing next week. bring on the real sunshine!! '84 VW Golf Gti Mk2 - 22,300 miles from new!! '82 VW Golf Mk1 - Soon to be a 1.8 on twin carbs / rollcage etc etc!! '96 BMW 525TDS E39 - Schwarz. Lowered with 18" deepdish alloys. Pick a number, post it and I'll give you it's part number with a rough estimate of price. You can click on the pic for a bigger image. im still stuck as my door lock has failed and the door is shut. the back has broke off the lock ive pulled the door pin out, rod n all! looks like i will have to cut the card off.